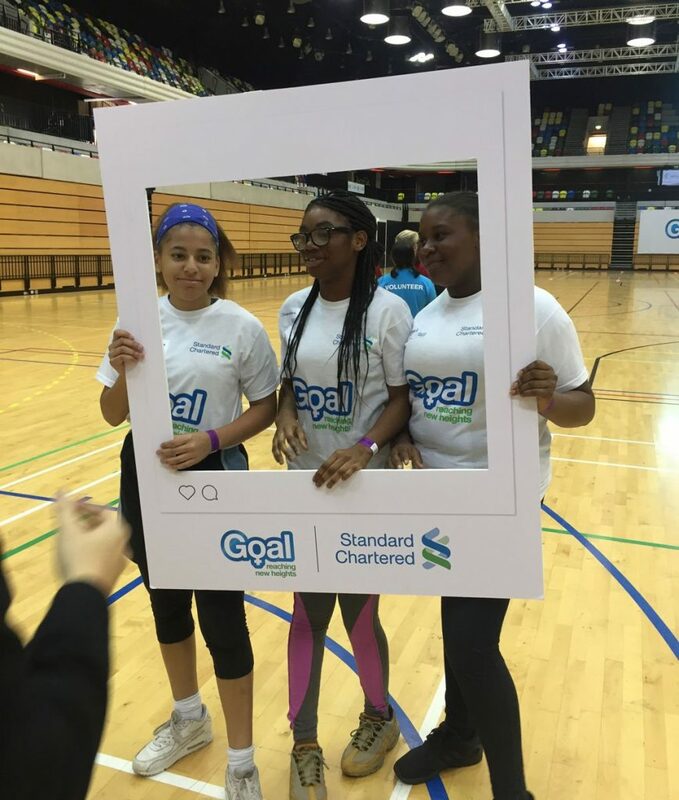 Standard Chartered put on a programme for schools from across east London to take part in the 2017 Goal Leadership Programme. 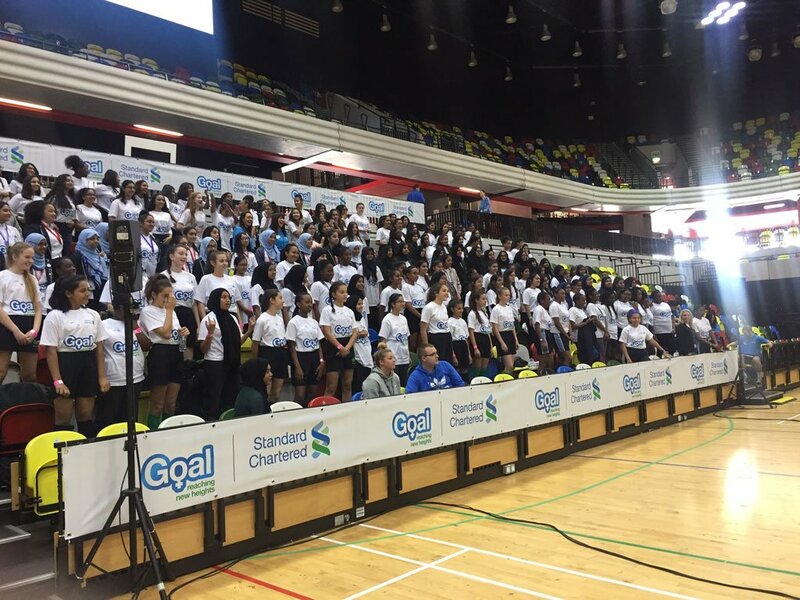 The two-day programme took place from 31st October to 4th November at the iconic Copperbox in the Olympic Park and focused on developing leadership and employability skills for Year 10 and Year 11 girls. 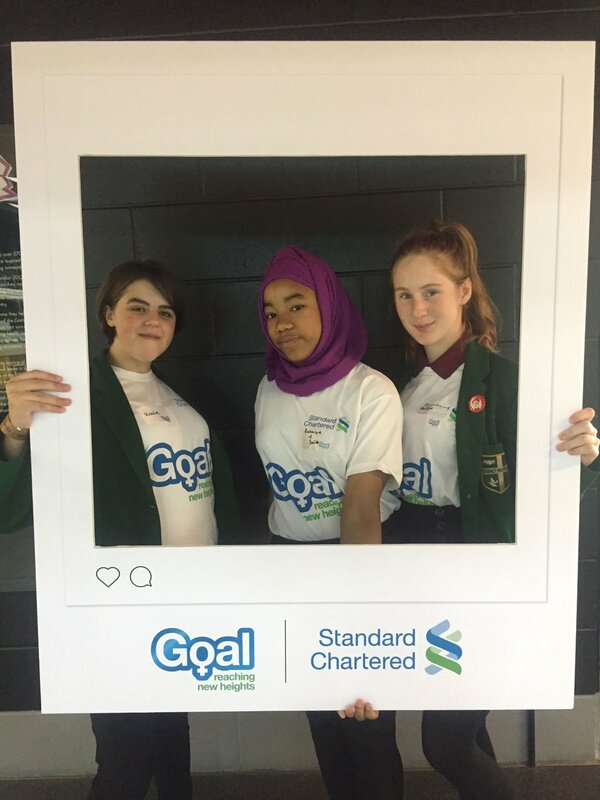 Through a combination of sports and life skills training, the Goal programme aims to empower and equip adolescent girls with the confidence, knowledge and skills they need to be integral economic leaders in their families, communities and societies. 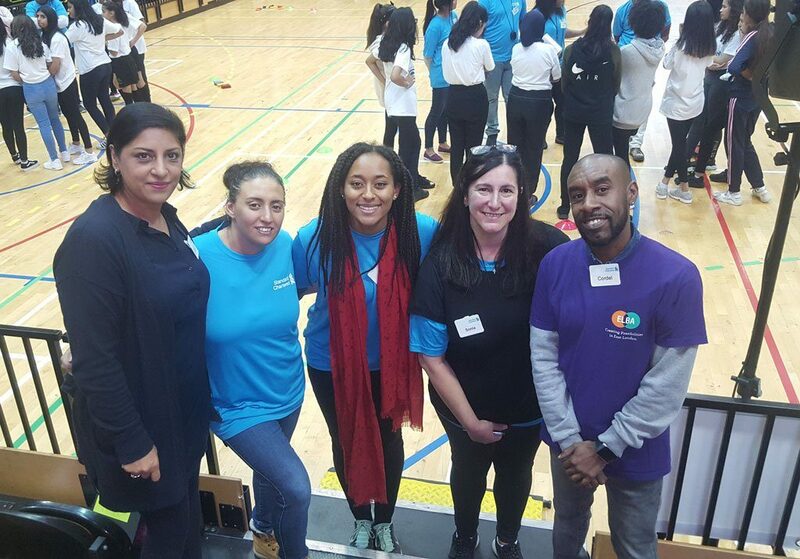 Nearly 400 girls from 11 schools from some of London’s most underrepresented communities engaged in a two day programme of game-based activities, skill-builder sessions and leadership insight talks, combining elements from the Goal curriculum with a number of youth employability components. 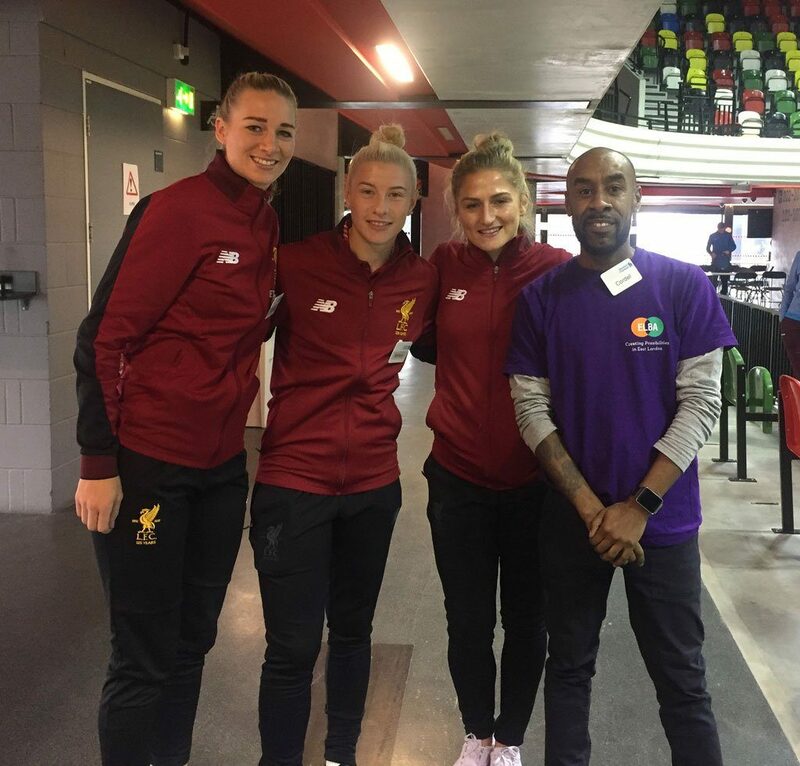 The girls also had inspirational speeches and presentations from Bonnie Chiu, CEO and founder of Lensational; Anne-Marie Imafidon, MBE, CEO and founder, Stemettes; Liverpool Ladies F.C. 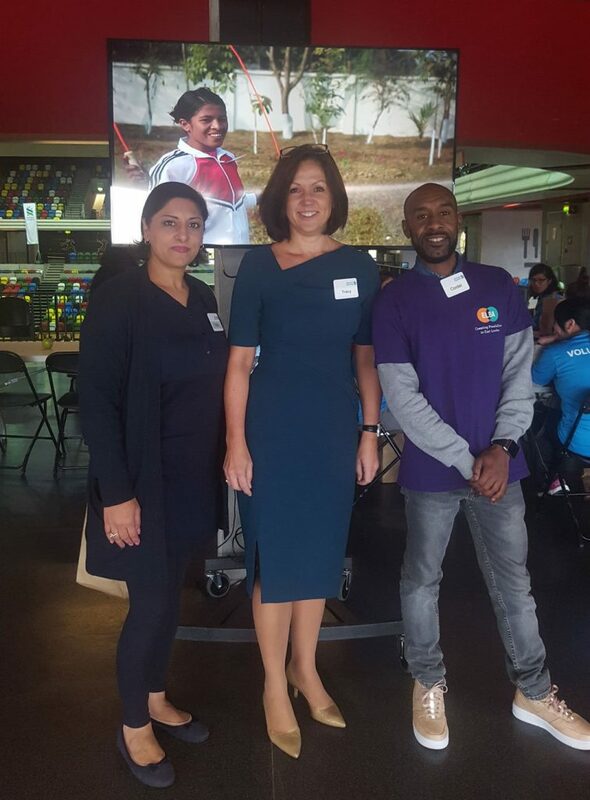 (Gemma Bonner – captain, Laura Coombs and Bethany England); Councillor Saima Ashraf; Tracy Clarke, Regional Chief Executive, Europe and Americas at Standard Chartered Bank; and Chairman of Standard Chartered, Jose Vinals. 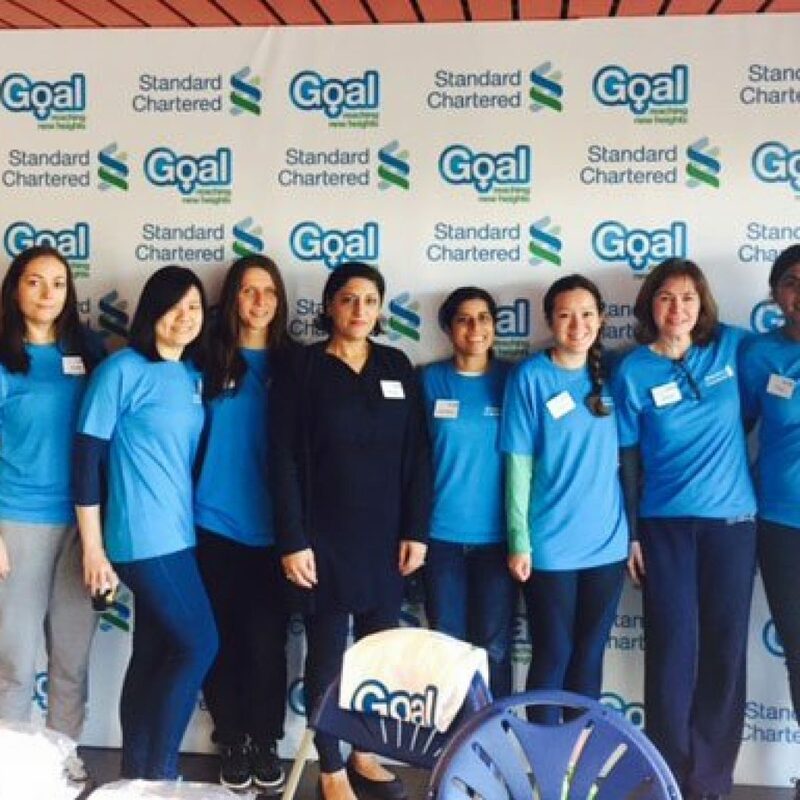 156 volunteers from Standard Chartered worked with the girls during the programme. 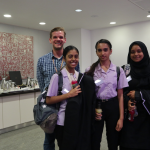 Helping to organise an event such as this, on this scale, is no small feat – it took a lot of time, planning and organising to get schools signed up for the event – but once the students arrived they knew they were in for an amazing two days. 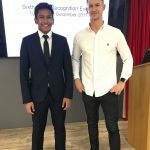 The line-up of inspirational guest speakers, workshops and presentations were not be missed! 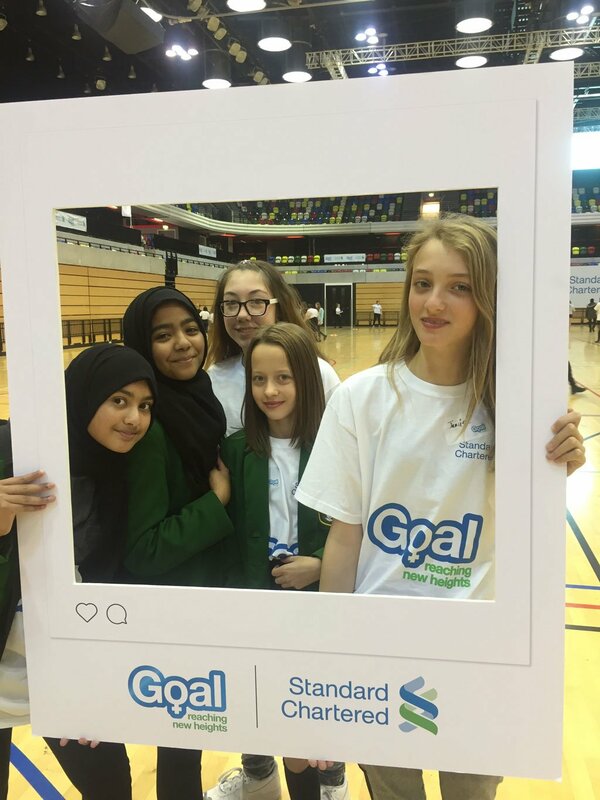 The success of the programme was demonstrated when all the girls came back on the 2nd day to complete their programme – beaming smiles, excitement and energy to be part of another amazing packed day. 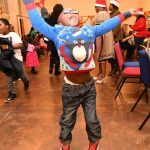 Feedback of this kind is an important reminder that activities such as this have a real impact, changing the lives of participants.